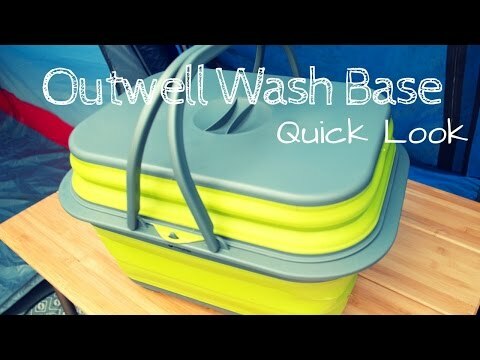 We’ve been giving the Outwell Wash Base a good test.  Over the years, we’ve used a few different things to take our dirty plates, pots, and pans to the campsite’s washing up facilities. For many years, we just used a plastic washing up bowl. It is cheap, simple, and does the job well. The only problem is that the bowls can sometimes be an awkward shape when you are packing all your gear into your car. 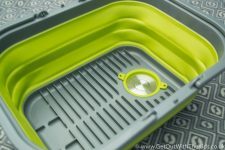 The next step was to use Outwell’s Collaps sink. This does the same job as the plastic washing up bowl, but now it is easier to pack. We also found that using it when collapsed was really useful, as it would make a great flat surface. 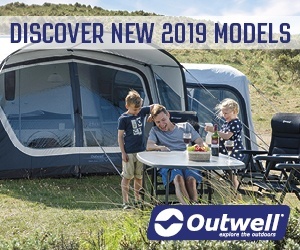 This year Outwell introduced the Collaps Wash Base, which takes the concept a little bit further. What is the Outwell Wash Base? Well, it looks a bit like a shopping basket from a distance, but there’s a bit more to it than that. 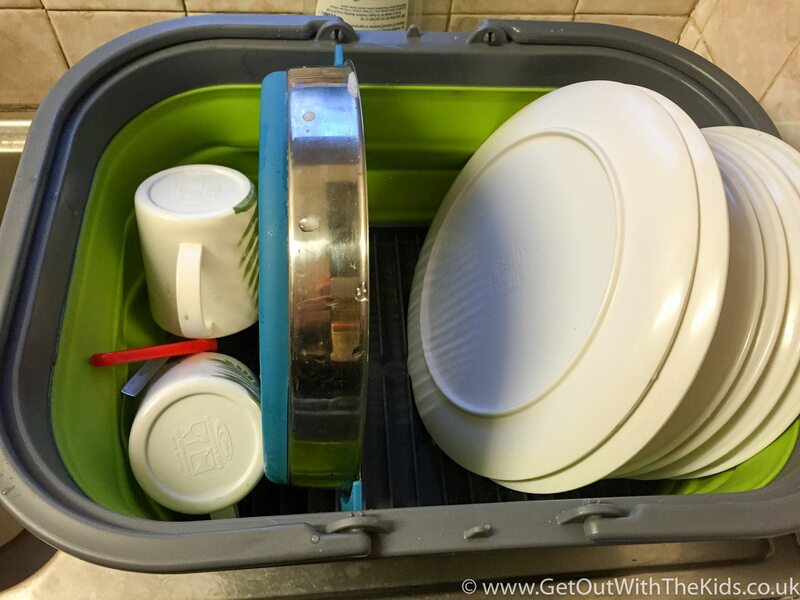 Inside you’ll find grooves for stacking plates, as well as a plug and strainer, meaning you can use it both as a sink and as a draining board. The handles make it great for carrying dirty pots and pans to the campsite’s wash-up. We then wash and dry the plates, stacking them in the Wash Base, ready for carrying back to our tent or caravan. Yes, a simple plastic washing up bowl will do the job. 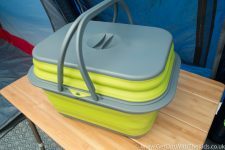 However, we think this is a really neat design and having used it now for months of camping, we know it’s up to the job. It gets the thumbs up from us. Thanks, credits, & disclaimer: We would like to thank Outwell for supplying us the requested Wash Base so that we could test it out and write this review.